As head of new business development for Resolution Media, I have a good vantage point for seeing trends as they are developing in the market place. All the RFP’s and RFI’s that come in eventually land on my desk, and by perusing these I get a good snapshot of which services companies are looking for. If the current batch of RFP’s are any guide to what is happening across the market, SEO or more broadly speaking, content, is fast becoming the new PPC. 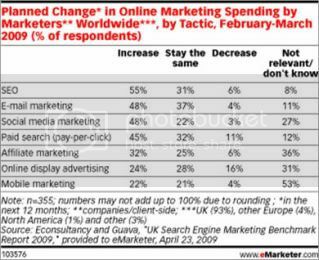 The huge surge in PPC that took place over the last decade was fueled by marketers demand for improved ROI. 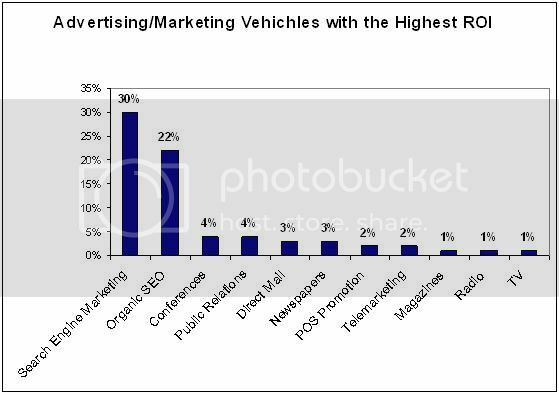 The following graph, from a 2007 study , shows how PPC was viewed as delivering much higher ROI than other media/marketing vehicles including SEO. I believe that if this survey was taken again today that SEO would rank even higher than PPC, because many of the efficiencies that PPC has accomplished are now already baked into marketers thinking. SEO on the other hand, still has some relatively low hanging fruit for most marketers, and they are realizing that it can really deliver spectacular ROI, without the costly media spending required by PPC. We recently delivered a proposal to a prospective client that included SEO and web conversion optimization services. As part of our proposal, we conservatively forecasted SEO would deliver an incremental $20 million in revenue. Based on the cost of our services, this proposal would deliver the client a 90 return on advertising spend (ROAS). While forecasting is an inexact science to be sure, we have a huge margin for error to meet even the most aggressive client ROAS goals. 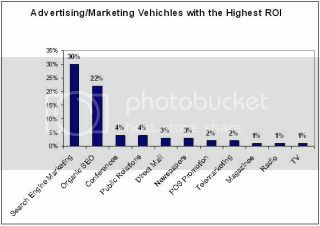 Resolution Media already provides SEO services to 60% of our client base, up from the low single digits a few years ago. My forecast for this practice is that it will eventually exceed our core PPC practice. It’s all about the ROI! Lo and behold, recent studies by Econsultancy show that SEO is the fastest growing online marketing tactic.